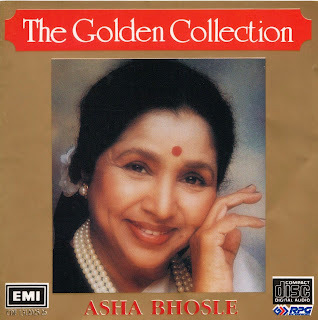 This collection of Asha Bhosle movie tunes is a trip. I can hear South and East Asian elements here and some of Asha Bhosle's vocal style in Vietnamese rock and pop music from the 1960s and 1970s. There are also European, American and Middle Eastern tinges. It's in Hindi but it's global. It's cool. May take a while for some ears to take in Asha Bohsle's often high-piercing vocals, but above all, she lays down some serious trance music. Using Google Translate, one can covert Hindi song titles into other languages. 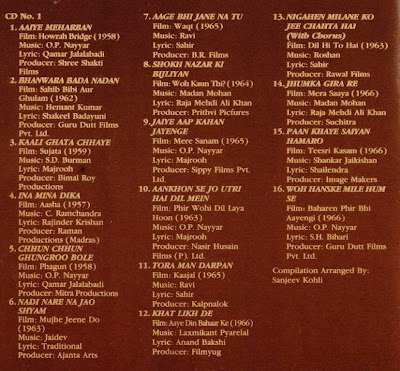 Track Number 9 on CD 1, from Hindi into English: "Jaiye aap kahan jayenge" = "Where Will You Go?" The thirty-one tracks in Asha Bhosle: The Golden Collection (1996) were "arranged by Sanjeev Kohli," according to a note on the back cover of the CD. He was a major music producer and executive at HMV (EMI India) at the time, and a strong promoter of international music. 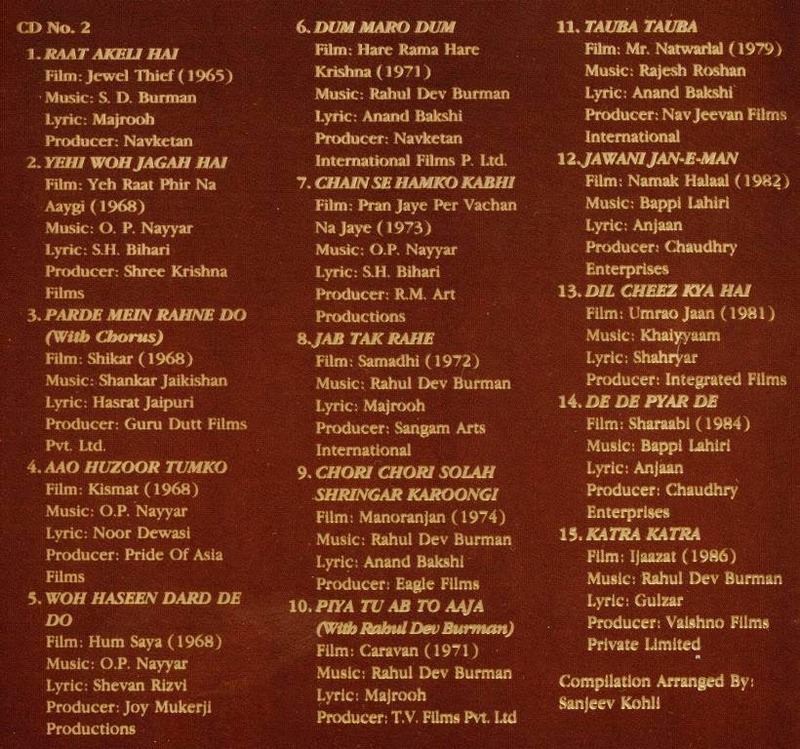 For the record, the back cover also lists RPG, and The Gramophone Company of India. The tracks here range in recording years from 1957 to 1986. Asha Bhosle (born in 1933) and her big sister Lata Mangeshkar (born in 1929) have both recorded thousands of songs. 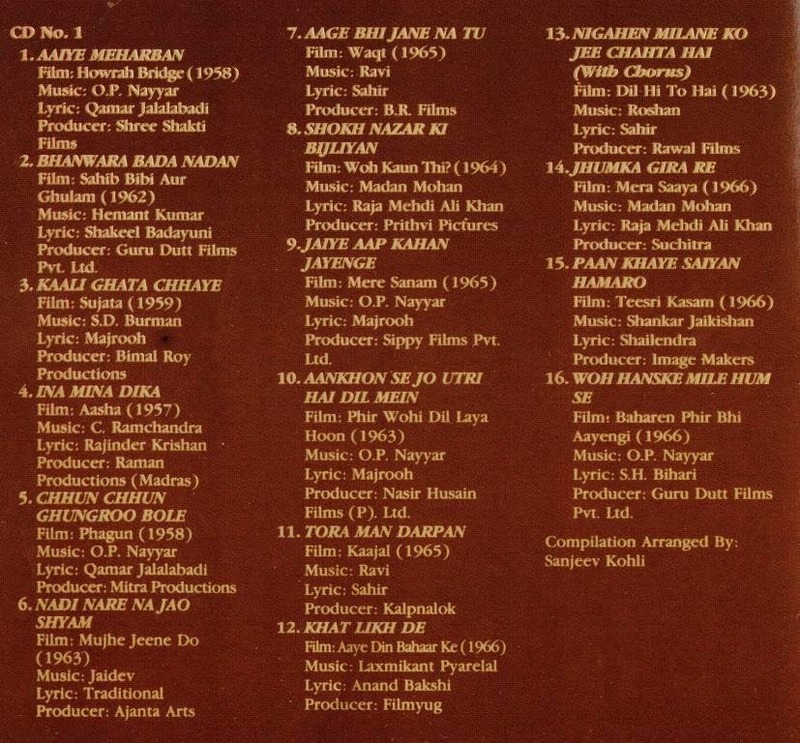 They are widely known as "playback singers," -- that is to say, actors lip-sync their recorded vocals in movie scenes. 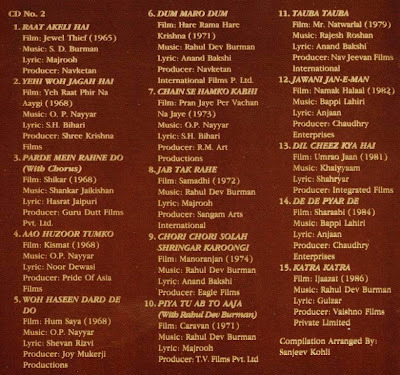 Thank you Asha Bhosle, Sanjeev Kohli, Lata Mangeshkar and India for these tracks. I now pass this anthology forward. I looked on youtube to listen and did my ears. I'm more "Karisma Kapoor" that makes the tracks to latest Bollywood. Still does not make my mind. The east of the songs are better than Asian. Erik-the Vietnamese salon I go to for mani Pedi's is about as close as I'm gonna get to that music; however, I love the food! This is wonderful! I hope that you passed the anthology along to somebody who will love it. Lots to love there.